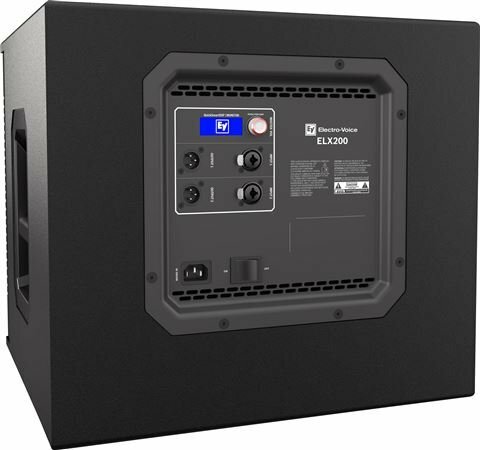 Order your Electro Voice ELX200-12SP 12" 1200 Watt Powered Subwoofer from AMS and enjoy 0% Interest Payment Plans, Free Shipping, Free Extended Warranty & 45 Day Money Back Guarantee. 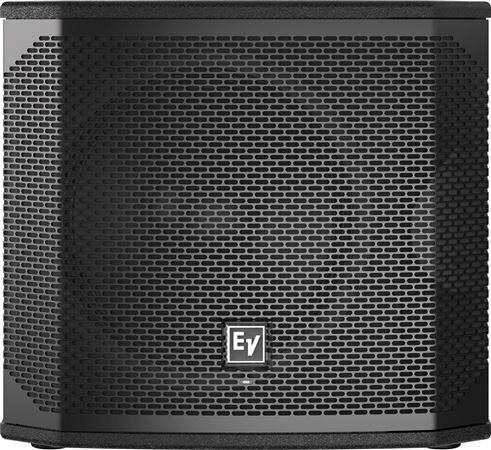 The Electro-Voice ELX200-12SP is the perfect choice for extending the low frequency response of just about any small to mid-sized PA system, and it’s ideally matched with their ELX200-10P and ELX200-12P powered speakers. Standing just 15.6” tall and weighing under 42lbs, the ELX200-12SP is easily transportable while fully capable of delivering up to 129 dB SPL of clean, powerful bass ranging from 165 Hz to all the way down to 41 Hz (-10 dB). How is this even possible? Easy…if you’re EV! The ELX200-12SP combines a high-efficiency and lightweight Class-D power amplifier with integrated QuickSmartDSP to effortlessly and reliably produce up to 1200 watts. Incorporating a proprietary transducer designed and engineered in-house by Electro-Voice (12” EVS-12L), the ELX200-12SP delivers an abundance of powerful low end with minimal distortion - the ultimate goal of any subwoofer. Setup of the ELX200-12SP for specific applications is easy, thanks to three presets (Music, Live, Club) displayed on the large LCD screen. These are selectable by pushing and turning the dual-function Master Vol control. You can also adjust sub/top system-match crossovers (select from 80 Hz, 100 Hz, 120 Hz or 150 Hz for Low Pass) and 3-band EQ, then store and recall your settings via five user-programmable presets. Limiter status is also easily viewable on the LCD. ELX200-12SP features two discrete Inputs utilizing XLR/Balanced ¼” TRS combo jacks. There’s also a balanced XLR Output for each, making daisy-chaining of multiple powered speakers quick and easy. And of course, there’s a Master Vol knob for overall volume control. Simply push and rotate to navigate the QuickSmartDSP functions. Just about everyone has a smartphone, iPad, or other tablet these days. But can they use them to control and monitor their sound system? They could with the Electro-Voice ELX200-12SP and Bluetooth’s QuickSmartMobile app for iOS or Android! Want to control your system from front-of-house? No problem. Need to quickly configure up to six ELX200 loudspeakers simultaneously? Done. You’ll even receive immediate notification in the improbable event that your system experiences critical performance issues. Sporting professional-grade hardware including a M20 threaded polemount plate and two heavy-duty handles for easy lifting, the Electro-Voice ELX200-12SP is ready for just about any environment and/or application. 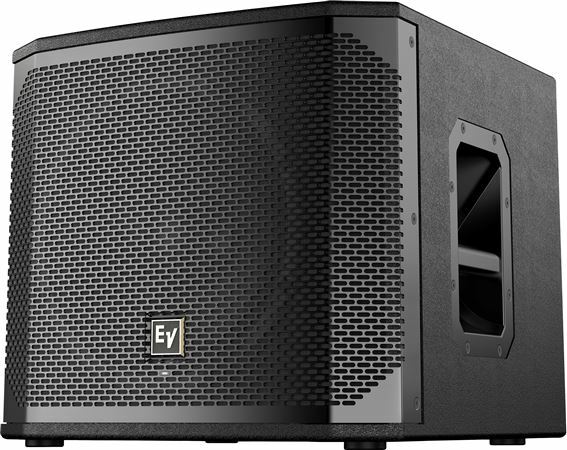 ELX200-12SP may be easy to carry, but its rigid 15mm plywood cabinet with EV Coat rubber polymer-based coating and high-quality components ensure that you and your audience will enjoy that legendary EV sound, every time. Electro-Voice subjects their products to a rigorous 500-hour endurance test that goes far above and beyond industry norms. And with their 3-year warranty on powered speakers, EV offers you true peace of mind. I never thought that combining a powered sub with a passive system would work, boy was I wrong. A great combination. One compliments the other. It performs quite well, in fact have had to turn it down twice. For it's power, it's easier to pick up and move versus the bigger units. So far used with live band sound set up and DJ events. Flawless performance every time. It aint the size of the boat! I used this subwoofer at three weddings now and I am impressed! I started taking Centrum Silver (age 55+) and I'm tired of lugging around 18 inch subwoofers! The ELX200-12SP is light and Stackable. Definitely gets two thumbs way up in my book! Light weight with strong sound. I really enjoy having the pair I have. perfect for small clubs, easy load ins, and the app really helps dial them in.